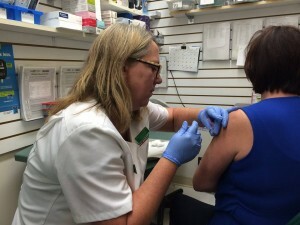 Flu season in Canada starts in October and can last until May. Flu shots are still available at Sinclair Pharmacy and it’s not too late to get your vaccination. Call to book your appointment today. Anyone above the age of 6 months can get the flu shot however only those aged 5 years of age and older can get the shot in pharmacies. Getting the flu shot every year is important because protection only lasts for approximately 1 year. Each year the flu shot is formulated to protect against the top 3 strains of that year. These strains may change year-to-year which validates why yearly flu shots are important. For general Flu Facts click here. For more information on kids and the flu shot click here.